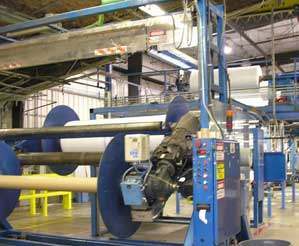 For over 60 years, Raven has met our customer's demand for a broad range of custom-sized rolls of polyethylene film and sheeting. They vary from small consumer sized rolls to massive rolls weighing up to 8,000 pounds, covering an area larger than two football fields. 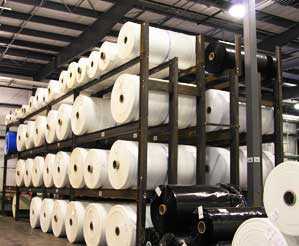 Custom sizes are produced with the most efficient "high speed welding" process in the industry, capable of joining up to 10 individual rolls of polyethylene in one efficient welding process. Hot air, extrusion, bar sealing and hot wedge are the various welding methods utilized throughout our converting facility. These large factory-welded panels are used for temporary landfill covers, golf course ponds, crop covers and many other applications requiring large fabricated sizes. Our customers install these products in a fraction of time it would take to seam them together in an outdoor environment, saving time and money. We also provide private label custom printing to promote customer brands and products with our commercial grade print presses. 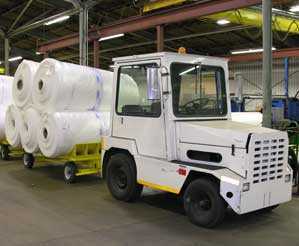 Printing is available up to a massive 100" wide depending on sheet manufacturing configurations in 1 or 2-color print.